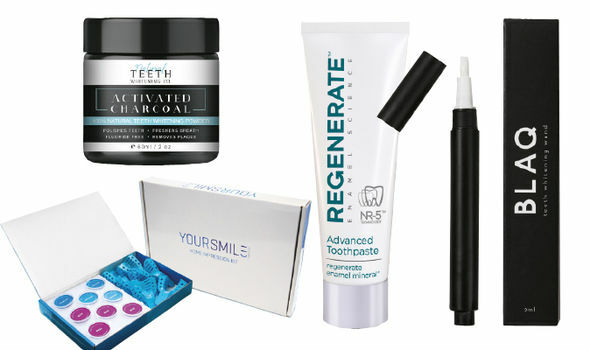 Innovative teeth beauty products from Blaq, Regenerate and more – The Natural Teeth Whitening Co. 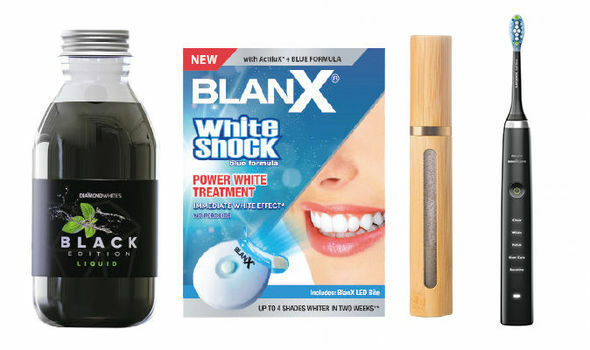 This peculiar-looking black mouthwash combines two current trends in natural oral health – charcoal from coconut shell, an unexpected whitening ingredient, and oil pulling, which means swishing coconut oil around the mouth to draw out bacteria and microbes. And it’s got a pleasant taste of peppermint. Get the next best thing to a professional whitening treatment in just one minute at home with this two-stage kit, which contains a special toothpaste and an easy-to-use LED light. And despite its extreme-sounding name, it doesn’t contain peroxide unlike many whitening products, so won’t cause sensitivity. Free from fluoride, sulphates and other toxins, this coconut oil-based, mint-flavoured gel naturally removes any lingering traces of plaque and bacteria, which in turn results in a fresher breath. Take a big grin in the mirror then apply to teeth, avoiding the gums and lips. Keep smiling for one minute then you’re good to go – no need to rinse. The Rolls-Royce of electric toothbrushes, this new device takes cleaning your teeth to the next level. As well as four different brush heads and five cleaning modes, it also comes with an app that monitors exactly how you brush, ensuring you’ll never miss a spot again. Even its chargers are stylish. Odd as it may seem to apply something grey to your teeth, this powder is actually a 100 per cent natural, effective way to whiten teeth – charcoal is porous and so sticks to rough surface stains, taking them with it when it’s brushed off. Customers say they’ve seen visible results in a few weeks. Acids in our food and drink can cause tooth enamel to erode, which in turn can lead to sensitivity, discolouration and cavities. Use this toothpaste daily, along with the Regenerate Booster Serum once a month, to help to actively reverse this process by renewing enamel. Another winning charcoal and coconut oil combination, this time in a convenient brush-on pen. Paint a thin layer on the teeth, leave on for 20 minutes (ignoring any strange looks at your temporarily grey gnashers…) then rinse, leaving a squeaky clean feeling mouth. Many of us dream of having straight, even teeth, but getting traditional braces fitted through a dentist can be time-consuming, painful and expensive. Your Smile Direct’s service, however, costs less than half the price of the market leader – simply make your impressions at home then receive sets of specially made, invisible aligners which you wear for as little as six months.